It's not often I'll reach for an orange polish, I like the colour and especially on other people but for some reason I just don't like it on myself. A randomly selected A Roll In The Hague the other day, one I hadn't tried since buying it. It's a strange colour, it looks completely different in the bottle to when it's on the nails. In the bottle it looks like a creamy orange. Once on the nails it becomes a bright sort of jelly orange. It also looks different in different lighting so was quite hard to photograph. A Roll In The Hauge | Did You ‘ear About Van Gogh? 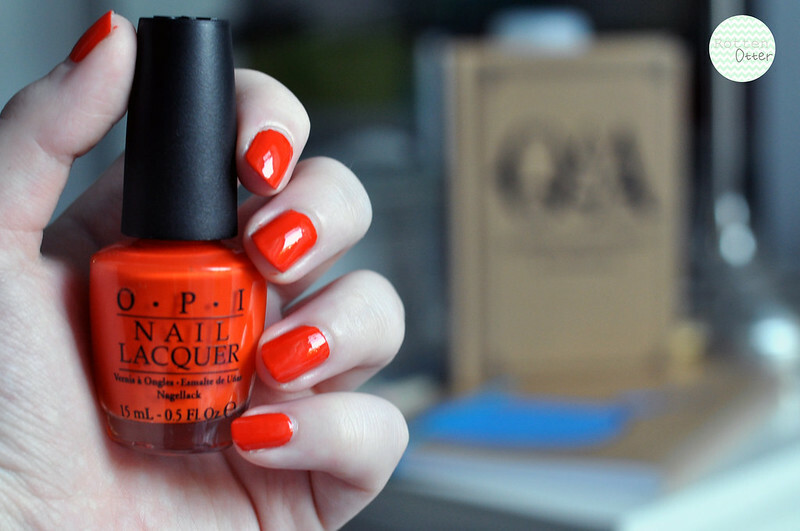 | Dutch ‘Ya Just Love OPI? | Gouda Gouda Two Shoes | I Don’t Give a Rotterdam | I Have a Herring Problem | Kiss Me on My Tulips | Pedal Faster Suzi! | Red Lights Ahead…Where? | Thanks a WindMillion | Vampsterdam | Wooden Shoe Like To Know? This is such a pretty shade! Wow that's a great deal. 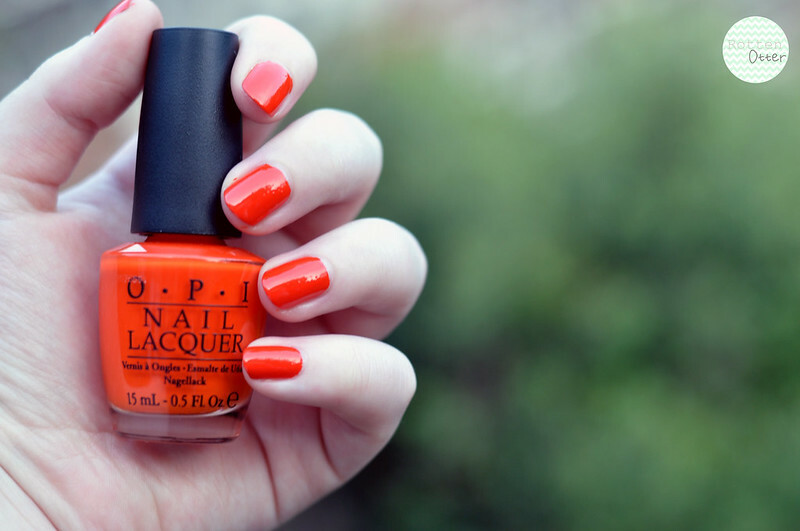 This colour looks so lovely and I've been on a hunt for the perfect bright red polish with a hint of orange. I'll definitely have to check this out! What a gorgeous shade for the summer! I'm so wishing away winter here in Australia.